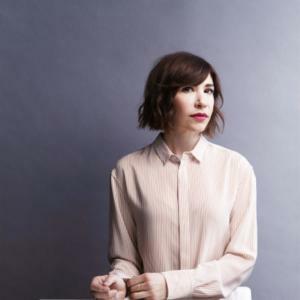 Rising to riot grrrl fame with pioneering 90s punk trio Sleater-Kinney, and later gaining a whole legion of new fans as star of comedy sketch show Portlandia, Carrie Brownstein is a one-of-a-kind talent. Recently, she’s applied that talent to memoir-writing. In Hunger Makes Me a Modern Girl, Brownstein writes of her turbulent suburban upbringing and of finding her people, and her power, through the feminist punk scene. Visiting Melbourne on tour with the reformed Sleater-Kinney, Brownstein briefly rests her guitar for a chat with Myf Warhurst. Join the pair for a discussion of defiance, humour and rock and roll. Carrie Brownstein is a musician, writer and actor who first became widely known as the guitarist and vocalist of the band Sleater-Kinney and later as a creator, writer and co-star of the Emmy-nominated show Portlandia. Brownstein's writing has appeared in The New York Times, Slate, and numerous anthologies on music and culture. She lives in Portland, Oregon and Los Angeles. 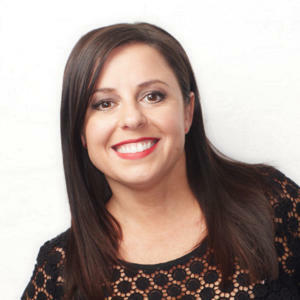 Myf Warhurst be heard across the country on ABC Radio from 12.30pm-2pm weekdays. 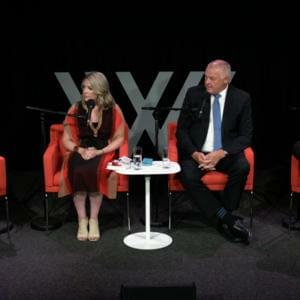 She presents Bang On with co-host Zan Rowe – a podcast where they chat about the biggest issues in art, music and pop culture, available for download via the ABC Radio app or iTunes. In 2017, Myf hosted the Eurovision Song Contest for SBS in Kyiv, Ukraine alongside Joel Creasey. In 2018, the pair returned to host the contest in Lisbon, Portugal and the SBS’s coverage of the Royal Wedding.